Merging form and function, the Oasis knife is ready to impress and provide long-term, reliable use. 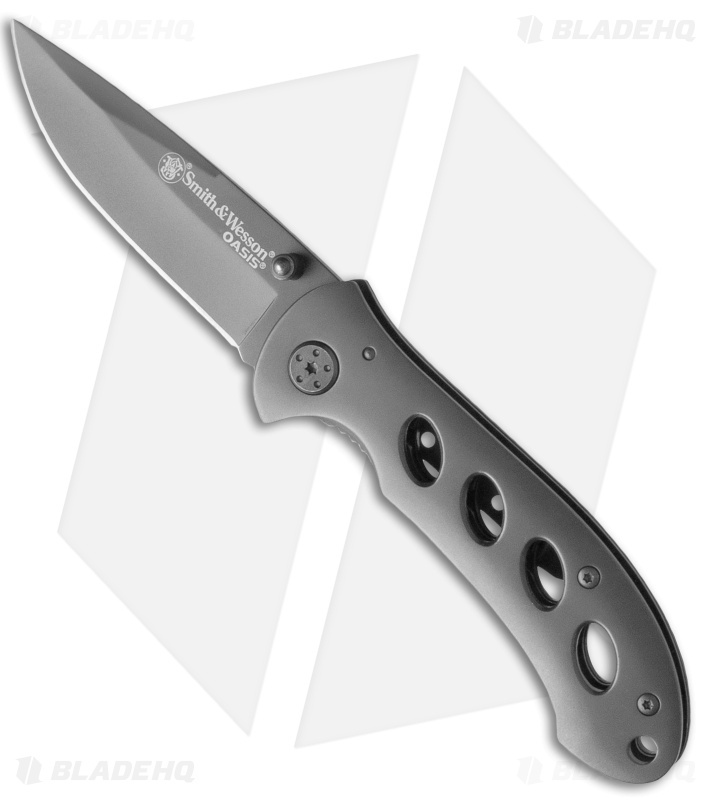 The SW423G folding knife has a sleek gray titanium coated drop point blade and handle. 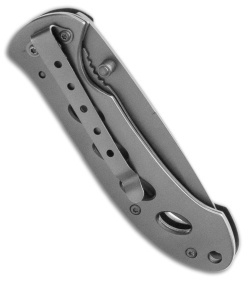 The blade is opened with one hand using the ambidextrous thumb studs and a liner lock engages to keep the blade from closing during use. The skeletonized handle on the Oasis not only lends aesthetic appeal, it reduces weight and the tip-down carry pocket clip makes this an ideal everyday carry choice.